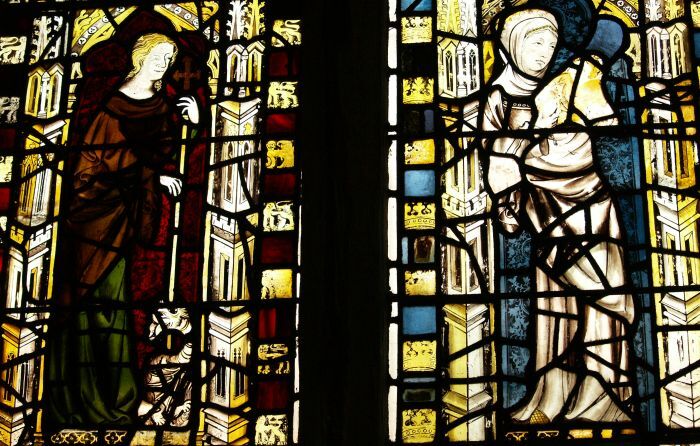 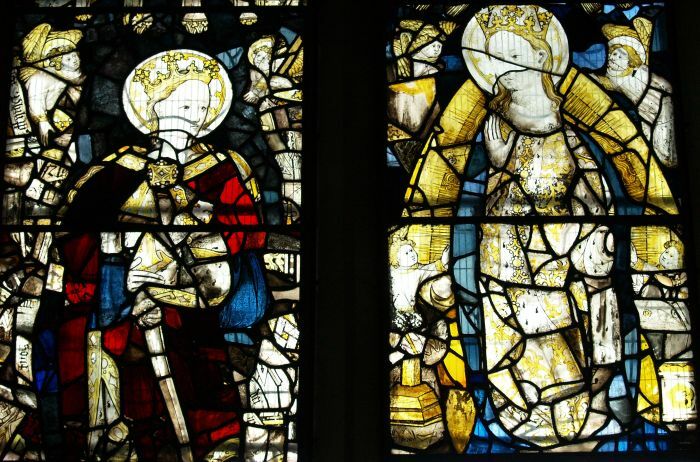 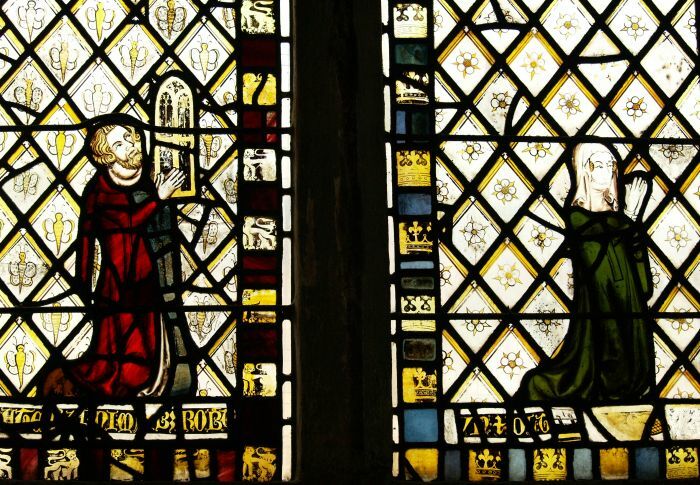 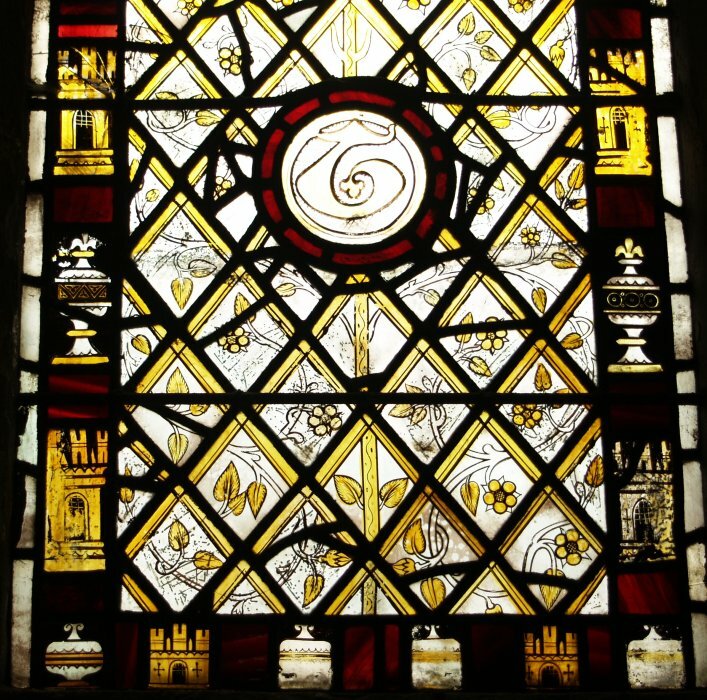 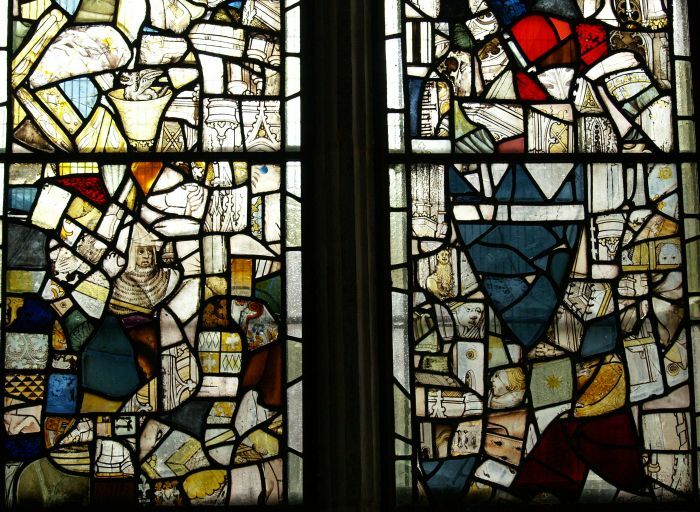 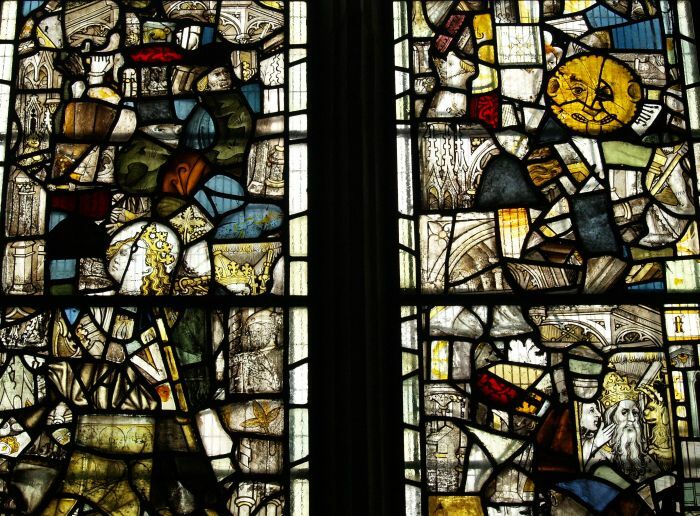 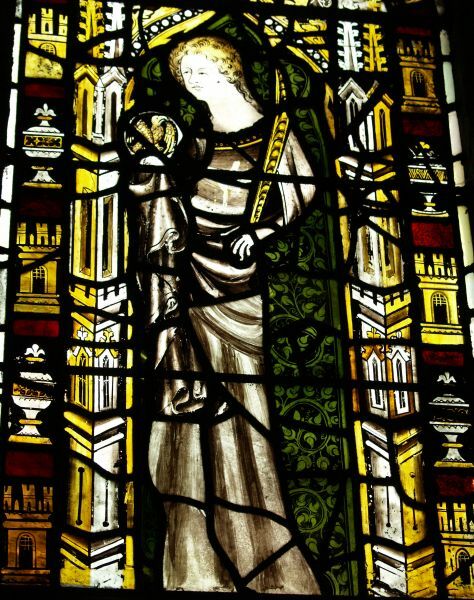 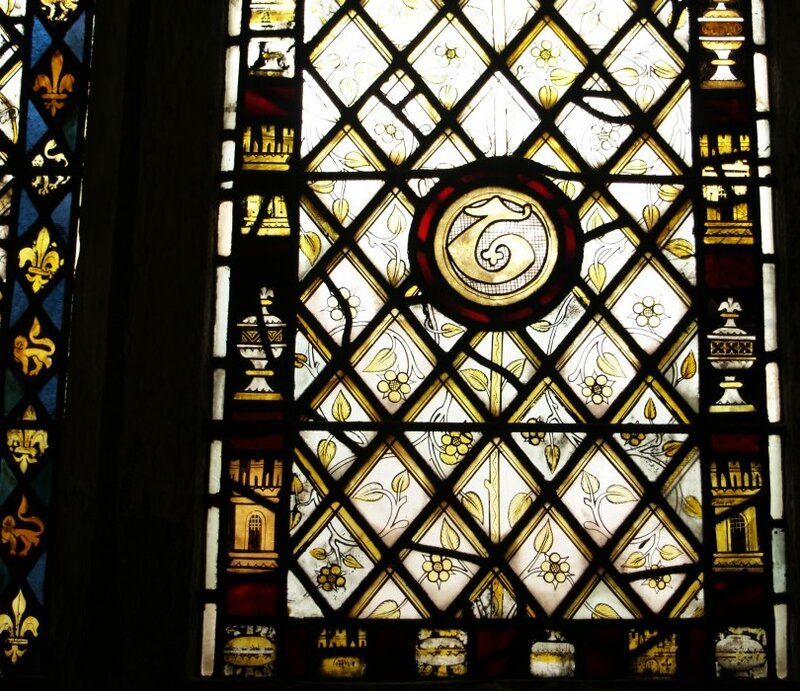 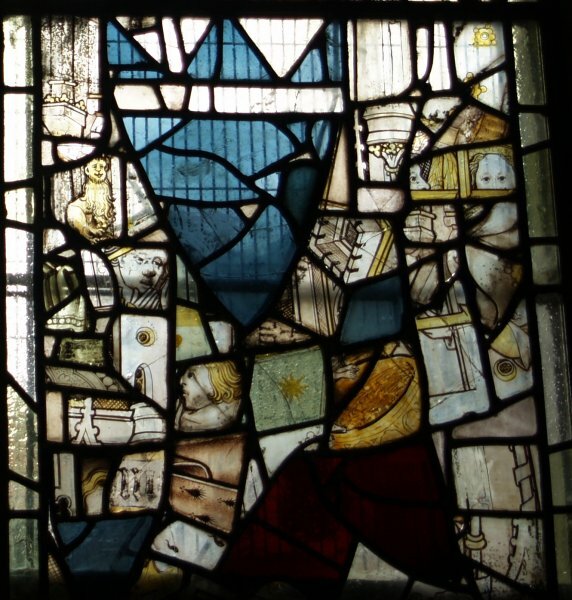 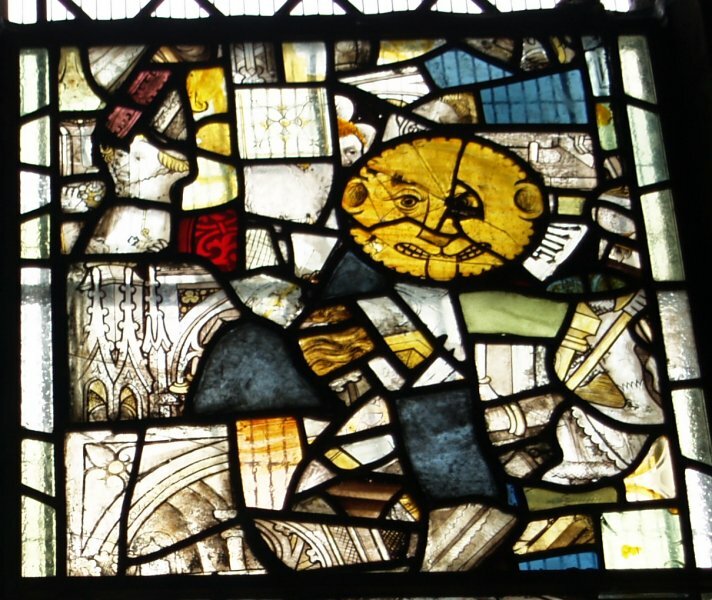 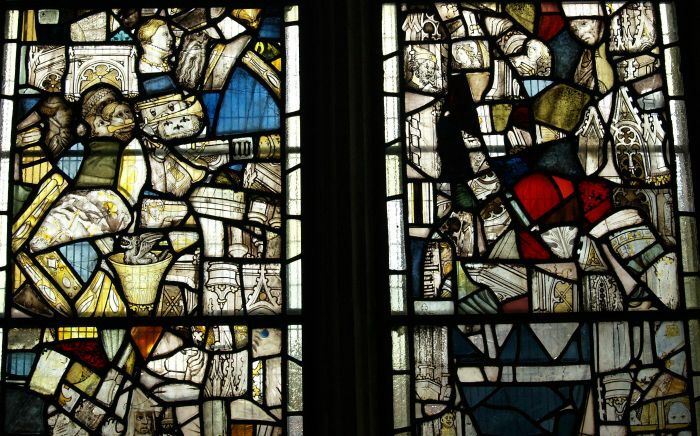 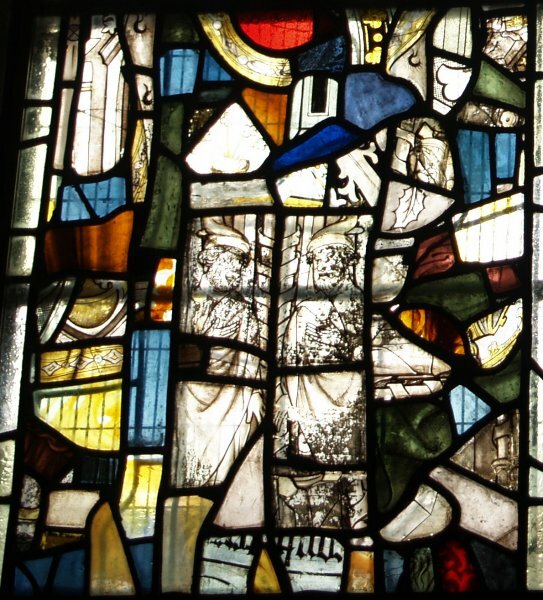 Details of selected panels of the medieval 13th, 14th and 15th century windows and were selected panes or sections of panes shown on page 23b and they are quite remarkable craftsmanship - nay, this is great artwork and no doubt paid a small wage for their great design and glazing skills. 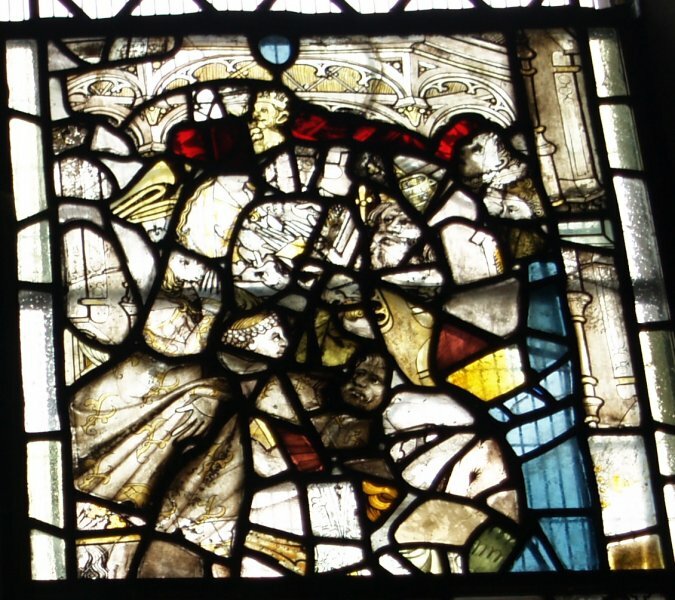 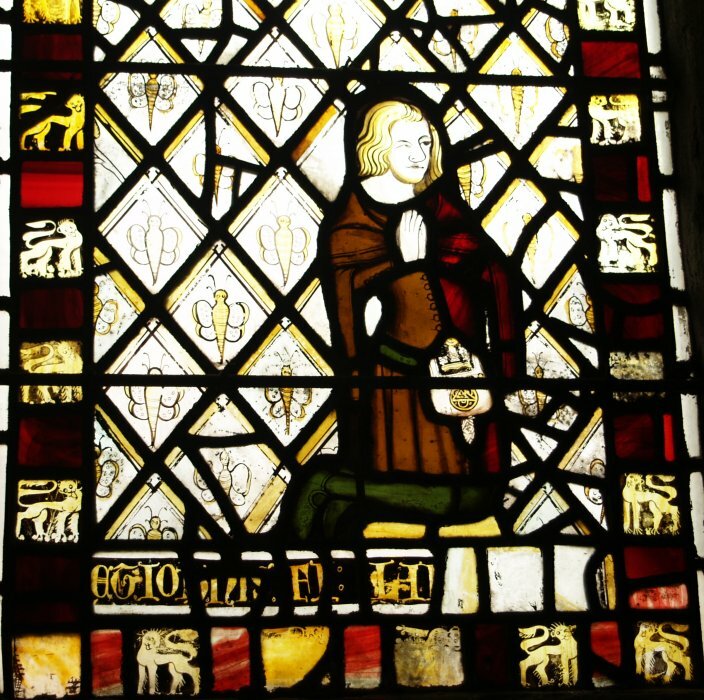 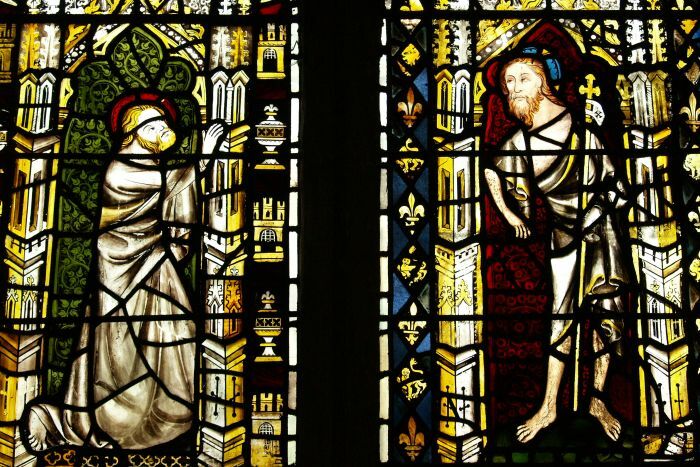 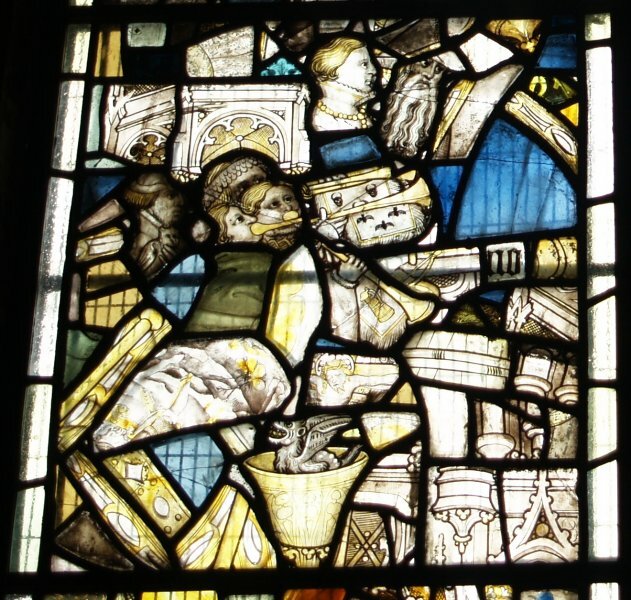 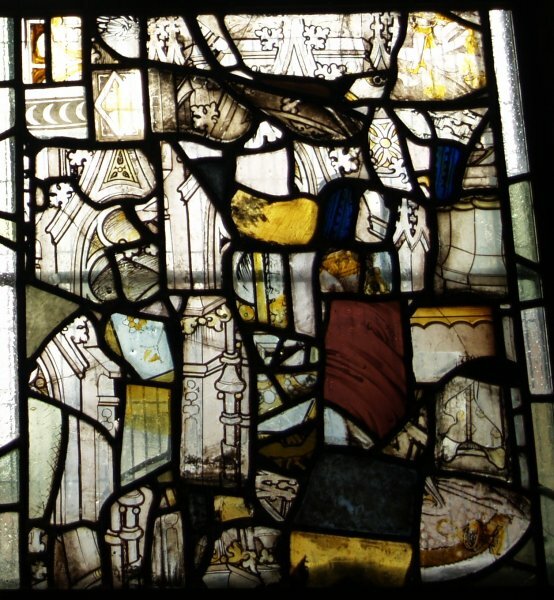 Bottom left pane of the middle window of north aisle - Robert de Skelton. 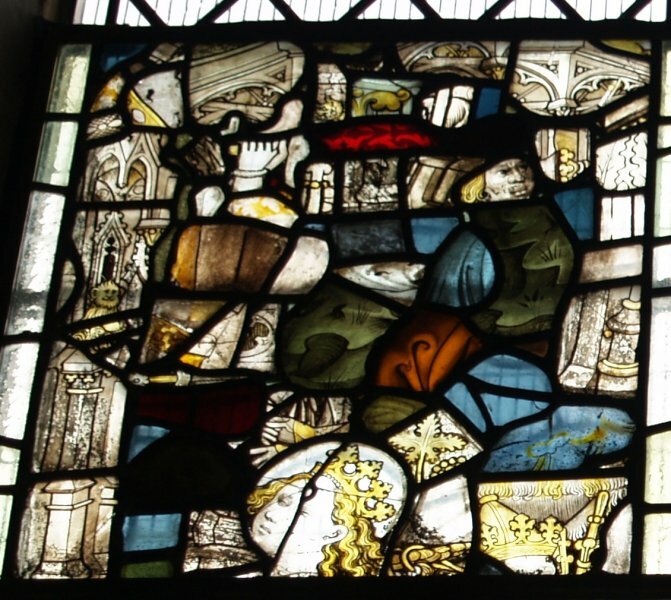 I love the little creatures (only a few inches across) and their wispful expressions and the winged insects. 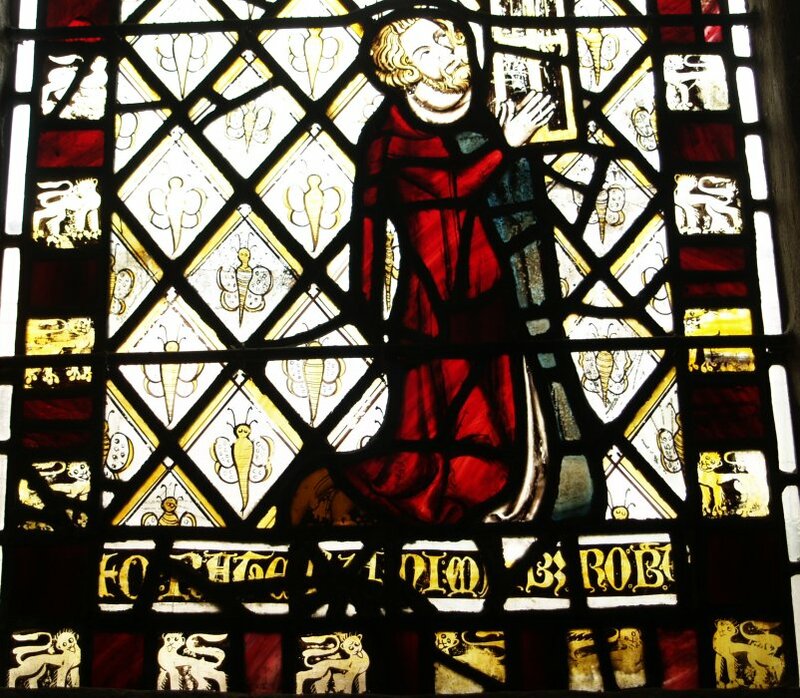 Robert de Skelton's son John? 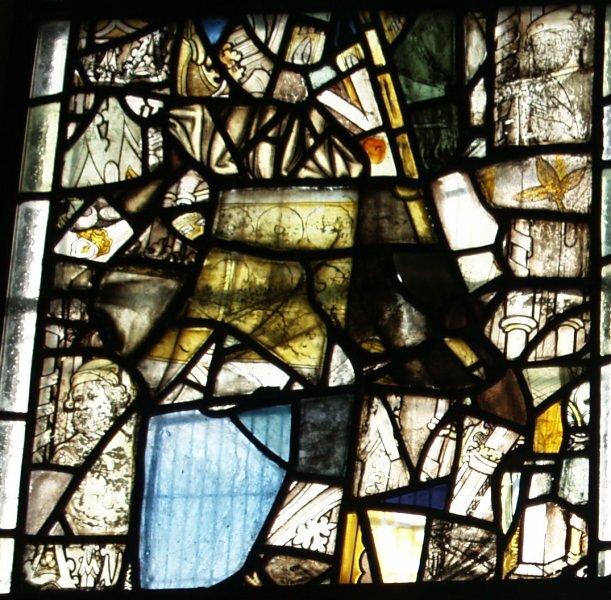 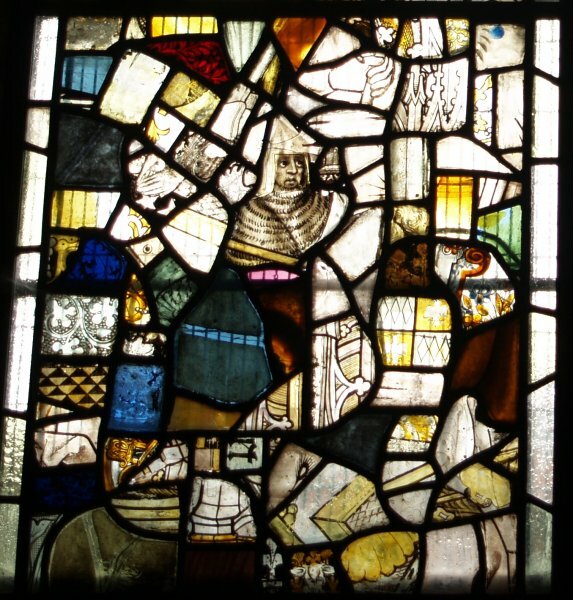 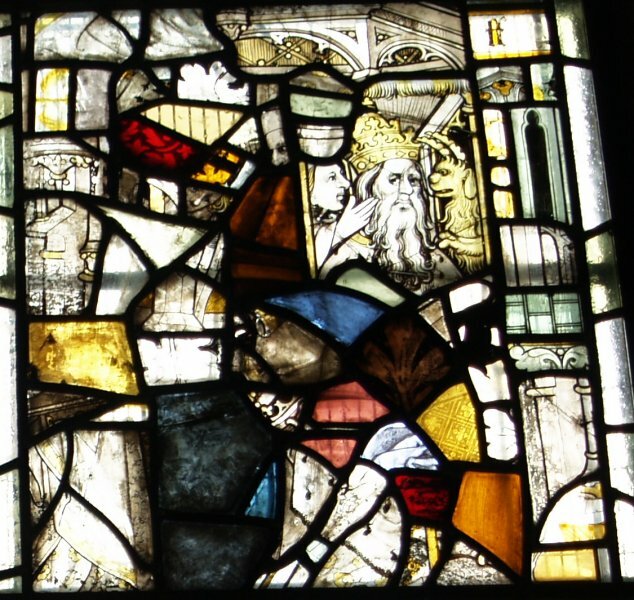 Medieval stained glass - lower pane of the right window of north aisle showing leaves, castles etc. 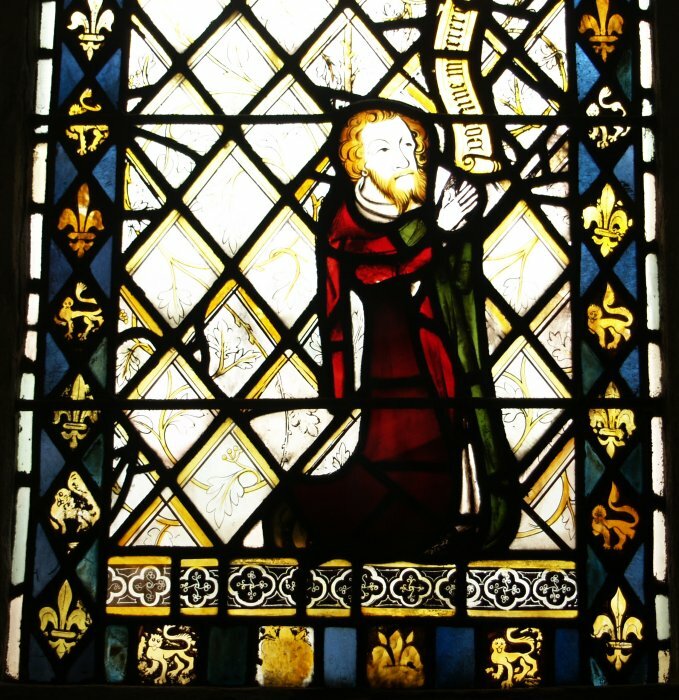 A kneeling bearded donor in the right window of the north aisle. 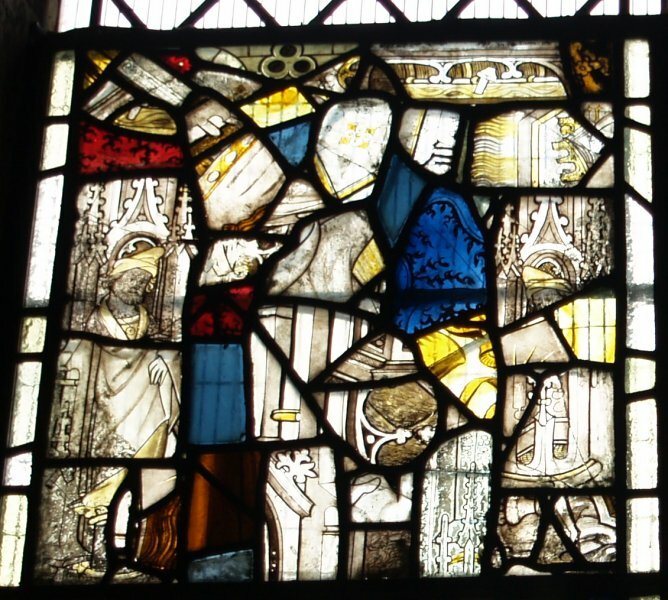 Bottom right pane of the right window of north aisle. 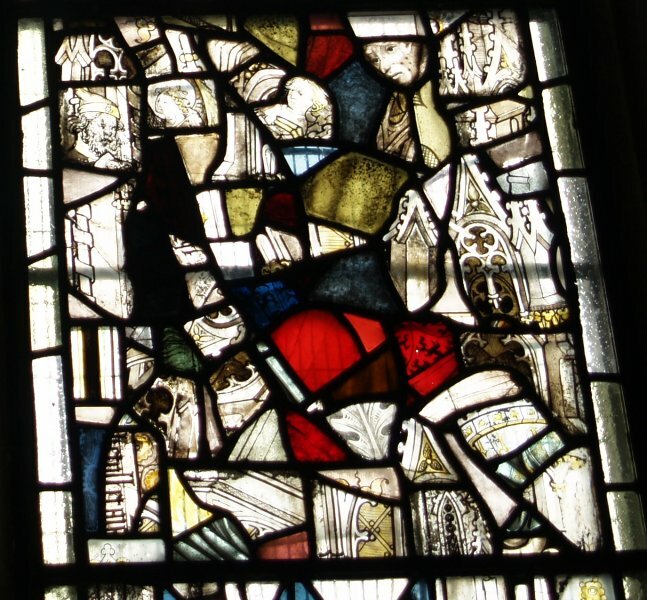 All 12 lower sections are shown below - quite remarkable!